Kia’s rival to the Ford Focus, Vauxhall Astra and Volkswagen Golf is now in its third generation. 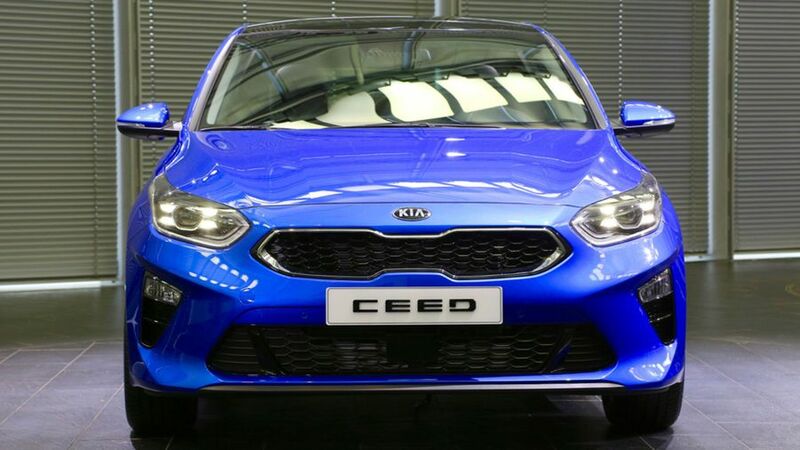 The new 2018 Kia Ceed hatchback will make its first public appearance at the Geneva Motor Show in March, but we've already had a sneaky peek. 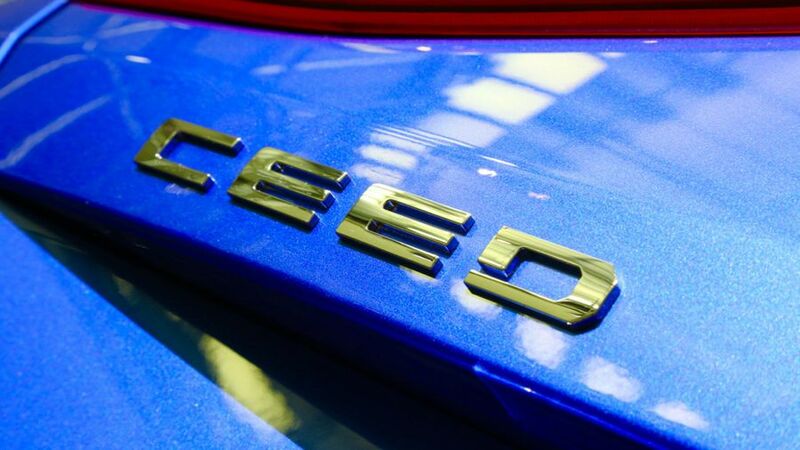 Possibly the biggest news about the new Ceed, is that it’s finally dropped the slightly confusing apostrophe (Cee’d), so it now has a relatively sensible name. 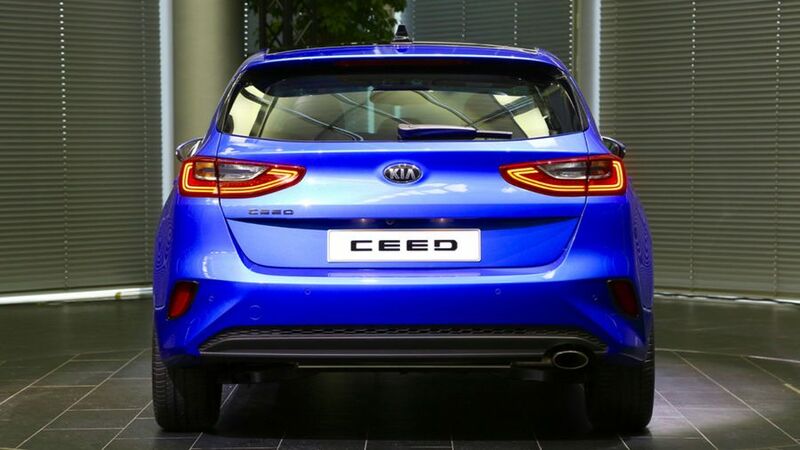 Along with the hatchback, Kia will also be revealing the Sportswagon (estate) version of the Ceed in Geneva, with a hot GT-Line version on the way later, too. 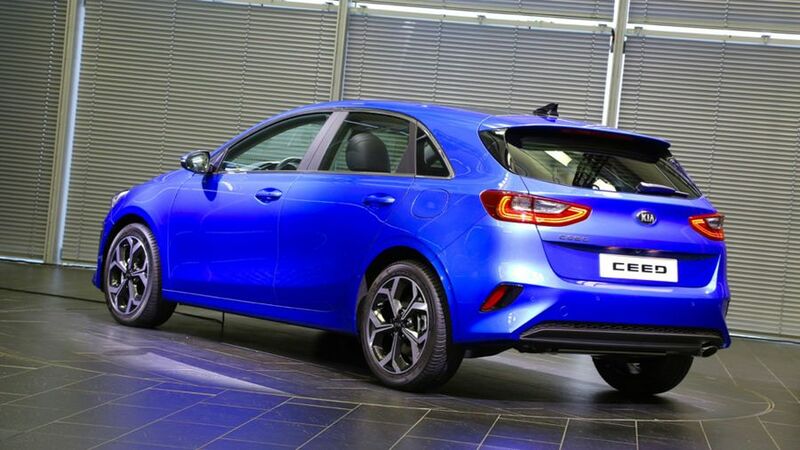 The new Ceed has certainly taken a few design cues from the Hyundai i30. It’s lower and wider than the previous model, with a shorter front overhang, longer rear overhang and more straight lines and angles. And there are now LED lights at the front and rear. Buyers can opt for 12 paint colours – including the rather lovely launch colour – and have a choice between 15-inch steel wheels, 16-inch steel or alloy wheels, or 17-inch alloys. 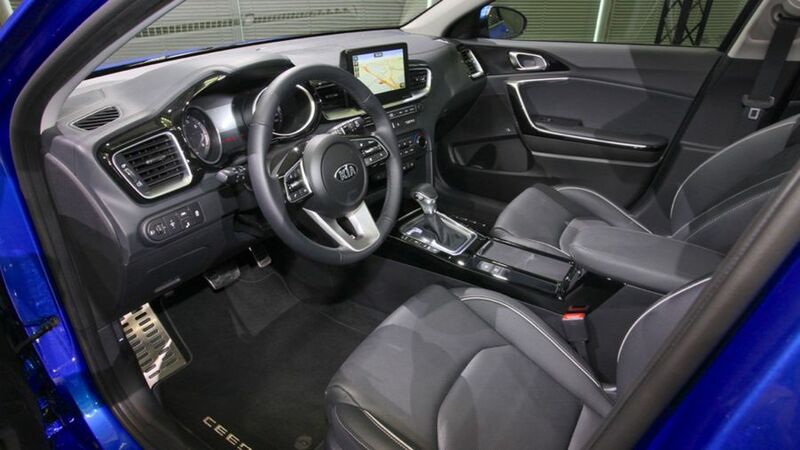 Inside, things have been taken up a notch in terms of quality and materials, and are now more in line with the Kia Sportage. Although, there’s plenty of that pesky fingerprint-loving piano black material around. Buyers can choose either a 5.0- or 7.0-inch touch-screen infotainment system, or an 8.0-inch screen with sat-nav. And there’s the option of a premium JBL soundsystem with Clari-Fi music restoration technology. Bluetooth connectivity is standard. Also on the tech option list is a heated windscreen, which is a fabulous addition in the colder months. Boot size is up by 15 litres to 395 litres, so that’s space to squeeze in an extra shopping bag. The Ceed will also come with a Driver Mode Select System, which means drivers will be able to switch between Normal and Sport mode. This will change the effort required to steer the car, and change the character of the engine. Throttle response will also be enhanced. There’s a wide choice of engines in the new Ceed. If you’re after petrol, there’s an updated version of its 1.0-litre unit with 120 horsepower, and a new 1.4-litre with 140 horsepower, which replaces the earlier car's 1.6. If you’re looking at diesels, there’s a new 1.6-litre with active emissions control technology. That’s available with 115- and 136 horsepower, and CO2 emissions are below 110g/km. All the engines come with a six-speed manual gearbox, and the 1.4-litre petrol and 1.6-litre diesel will also be available with a seven-speed dual-clutch automatic gearbox. Standard safety tech includes High Beam Assist, Driver Attention Warning, Lane Keep Assist, and Forward Collision Warning with Forward Collision Avoidance Assist. There is loads more on the options list, too, including Lane Following Assist, which is a first for Kia. This system tracks cars in front of you in traffic, and identifies appropriate spaces in other lanes to move into, to gain more ground in congestion. It also keeps the car in its lane on the motorway, and controls acceleration, braking and steering, and works at up to 80mph. Other options include Smart Cruise Control with Stop & Go, Blind Spot Collision Warning, Rear Cross-Traffic Collision Warning, Smart Parking Assist, and pedestrian recognition with haptic steering wheel warnings for the Forward Collision-Avoidance Assist system. The Ceed is up against some tough rivals in the small family hatchback category, including the Ford Focus, Vauxhall Astra and VW Golf. 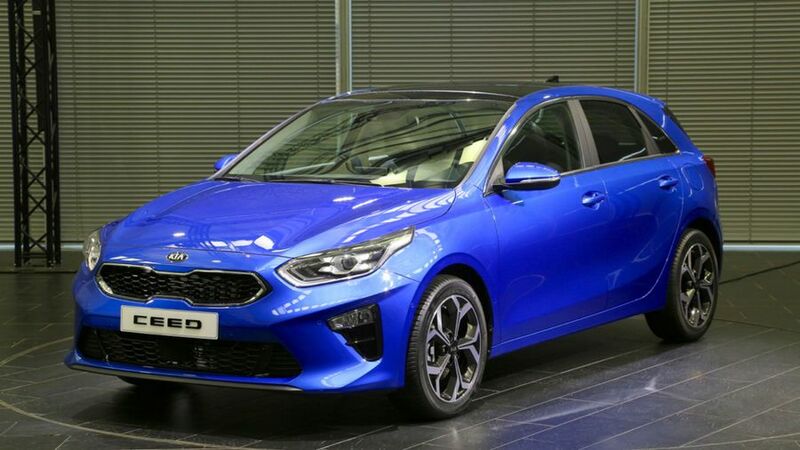 It’s always been a solid contender though, being well-equipped, with low running costs, and of course, it comes with Kia’s excellent seven-year warranty. With the previous generation, we’ve said it’s a car that does well in every area, even though it doesn’t necessarily excel in any one, and it will be interesting to see how the new model fares. The new Ceed will go on sale in summer 2018. There’s no word on price yet, but we expect that a mid-spec model will cost from around £21,000.